Figure 4-8. 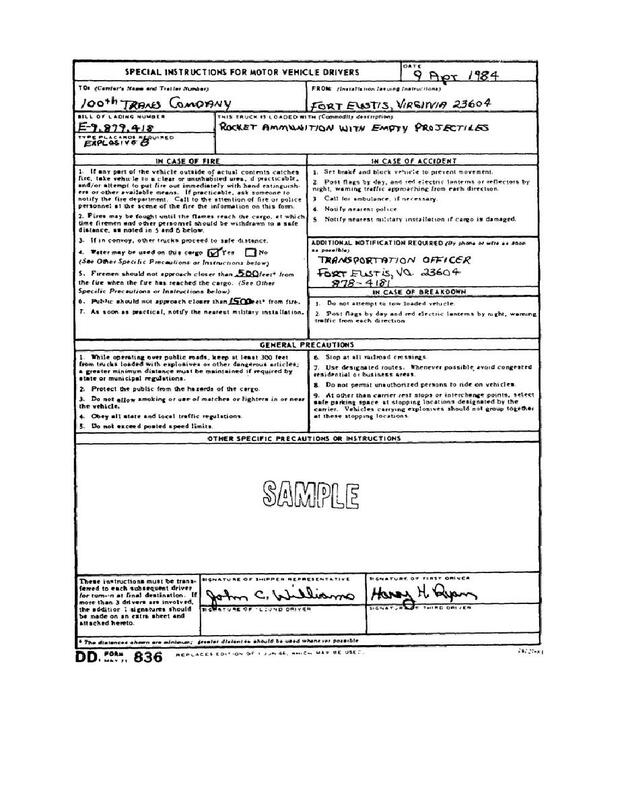 DD Form 836. Home > Transportation Reference and Training Manuals > > Figure 4-8. DD Form 836. Figure 4-7. DD Form 626 (Back).